I have made it no secret that I think the God Complex is the best thing ever. Why? Well, here are my 3 reasons as to why I love it. The God Complex has some of the best characters in Doctor Who history. The four supporting cast member each have unique personalities. Rita, the woman the Doctor befriends, is a character who is smart, calm and has a strong religious belief, which is an important plot point. Howie reads conspiracies, cares for his mum and is scared of being teased of his stammer. Gibbis, an alien, is a member of a species which is constantly being invaded, and his spiteful attitude is clear as the Minotaur isn’t conquering, just killing, and he isn’t a nice person as he is scared. Joe, the first to be killed, is only seen possesed, yet we still know his faiths and fears. These character traits adds the impact of the characters being killed off one by one. 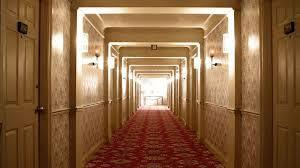 A mysterious, shifting hotel with fears in the rooms. While a creepy hotel isn’t a completely original concept, the way it’s presented here makes it one of the most original settings in Doctor Who. The way it’s shot is also amazing, with sweeping camera shots, wide angle shots, slow motion, fast motion (if there is a term like that exists), close ups and split screen. It’s easily the best directed thing I’ve seen (along with Pan’s Labyrinth). The hotel is also a metaphor for both the Doctor and the Minotaur, an endless shifting maze with their respective prisoners drifting in space. It’s a great setting with a great underlying tone. The Doctor in this episode changes attitude. He starts it of as a fairly happy, yet still curious, character, yet after the death of his friends one by one and his misinterpretation of what was going on, he realises how dangerous the situation is and he is forced to leave Amy & Rory behind in the harshest way possible. His connection with the Minotaur is very subtle, and he is deeply shaken by the events of this story. 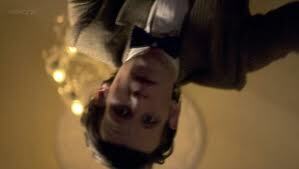 Hi, I really like “The God Complex” as well, although there seems to be a fair number of fans who don’t. I look forward to your explanation of why you don’t like “The Girl Who Waited”. I have to admit that it didn’t grab me.